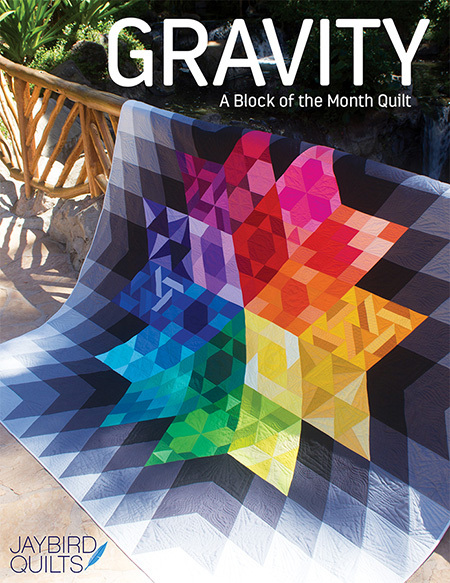 A few weeks ago I when I showed my Stash Stack Quilt I showed the binding with a flange. I got a few questions from people asking how to do it and decided it was best to take photos for a tutorial and share the info with everyone. 1. 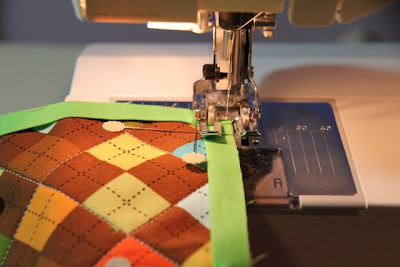 To demonstrate I put a flange on a mini quilt. Quilt your quilt as usual. Trim off the excess backing and batting. 3. 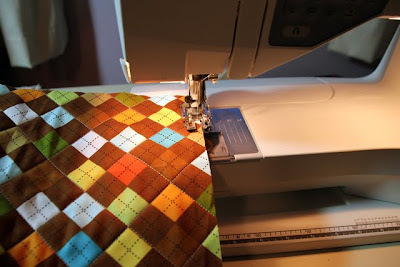 I use a longer stitch for this basting step as well as for basting the flange onto the quilt top as described below in step #9. 4. 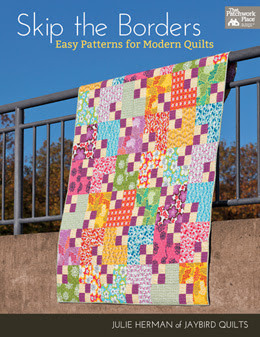 This is the result of basting around the edges of the quilt. 5. 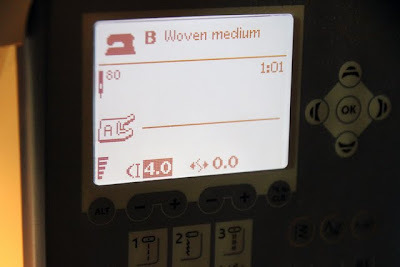 Cut fabric for your flange. I cut mine at 1" wide. 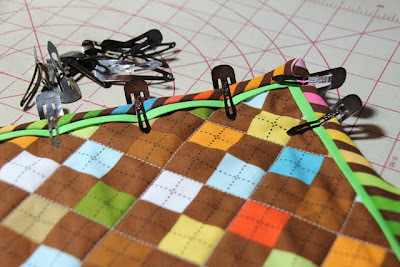 Subcut strips to be the length and width of your quilt top. 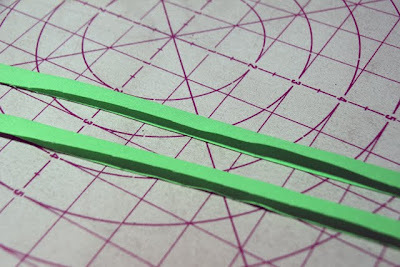 If your sides are more than 40" piece strips together to get desired length. 6. 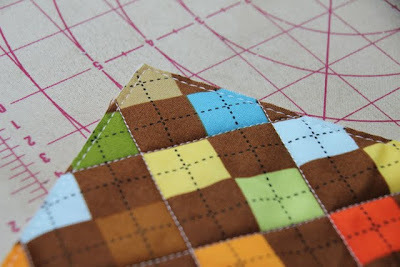 Fold the flange fabric in half along the length and press with the wrong sides together. 7. 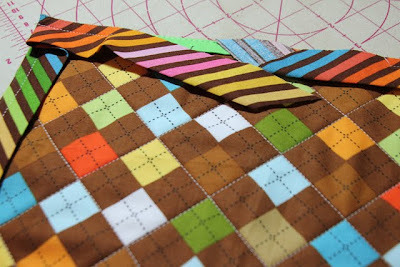 Pin the flange fabric to the quilt top matching the raw edges. This will feel very similar to how you attach the binding. 8. Pin all four sides in place. One side will overlap another at each corner. 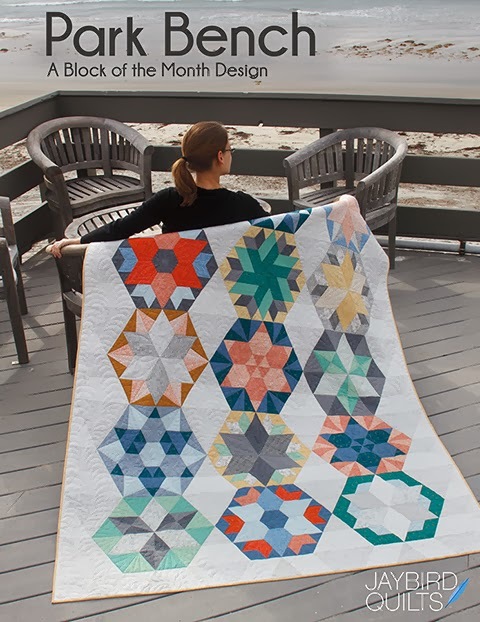 You can choose to have the top and bottom overlap the sides or vice versa. 9. Baste the flange in place with a large stitch length and a scant 1/8" seam. Remove the pins as you go. 10. This will be the result. 11. Attach your binding as usual. 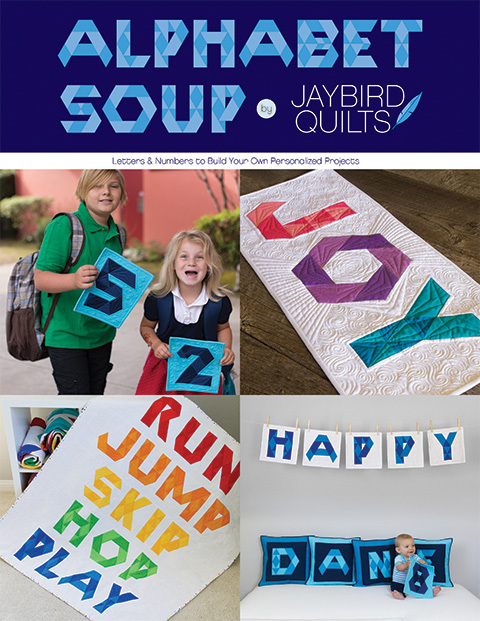 Basic Binding directions are available on my first binding tutorial page. 12. 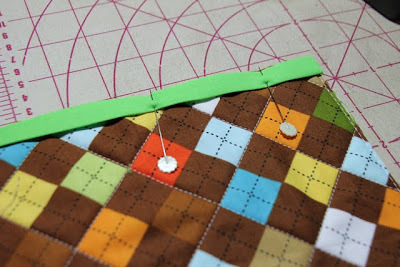 Pin binding in place to the back of the quilt as you usually would using binding clips. Hand sew binding in place to the back of the quilt to finish. 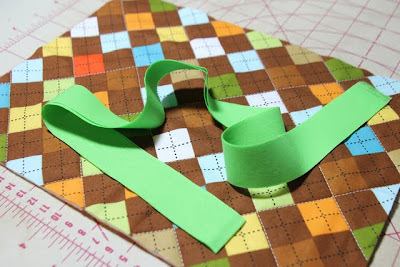 Binding Flanges are great for when you need a tiny bit of pop from a color before your binding. They also work great when you need contrast between a combination of a busy border and busy binding as shown here. © 2010-2019 Julie R. Herman. All rights reserved. 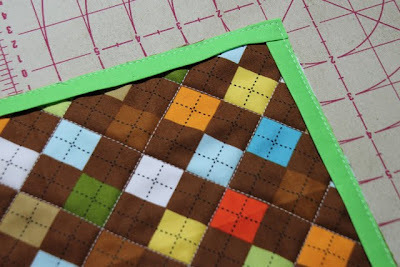 I love this binding - adding a little extra bit of color - great idea and thanks for the how-to! Julie, you come up with the best ideas!!! You really do!!! Thanks so much. I can think of so many fun applications for this!!! Yeah! Thanks for sharing! I can't wait to try this technique. Very cool! thanks for sharing this! 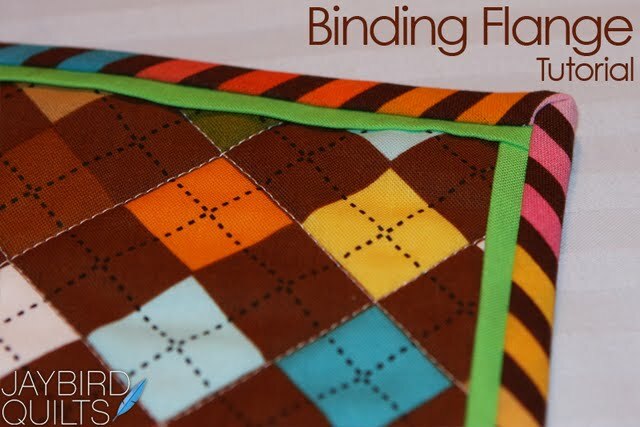 I am ashamed to say I never have heard of a binding flange, but I am excited to use one in one of my next quilts. Your instructions are pretty easy to follow! Do you attach the binding to the same side as the flange, and then fold over to the back, or the opposite side? From the pics I can't exactly tell. 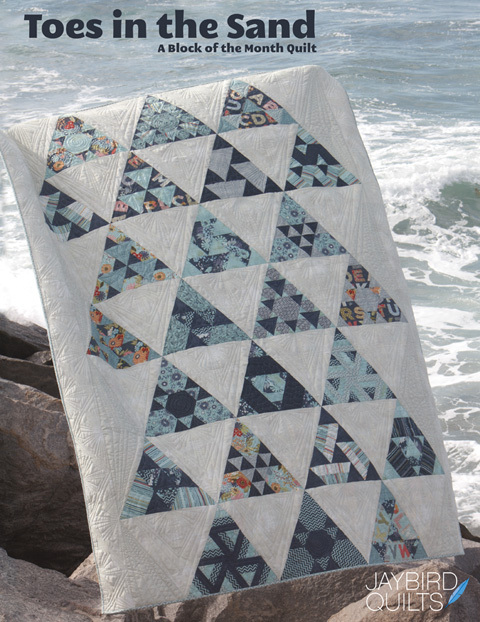 I did a flange border on this quilt. You can just see the tiny pink border going around between the green and black. 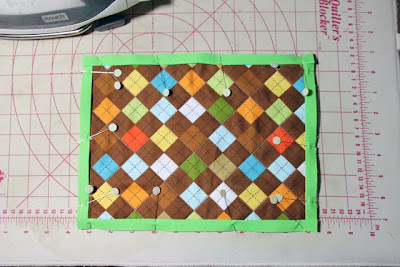 The quilter basted it down during quilting so it wouldn't accidentally get turned over and stitched down. I love love love this and can't wait to try it! Thanks for the tutorial Julie! I love this idea Julie,thank you!!! Thanks. 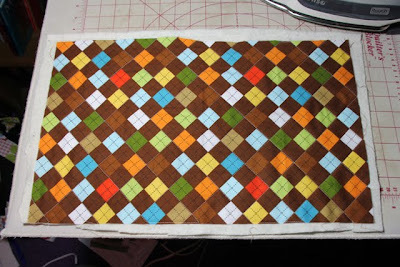 this is so right when you want to get some little bit of contrast before the actual binding goes on. Awesome! There have been a couple of times that I needed a break between my quilt and binding - but I have a huge aversion to attaching boarders. This looks like the perfect solution. Well done tutorial Julie. 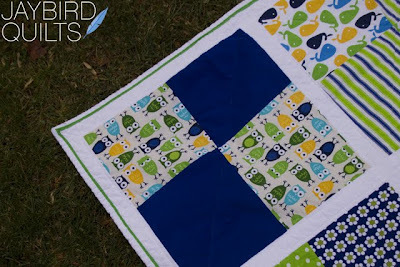 And the green is a perfect transition on the mini quilt. Thank you so much for this tutorial, Julie! I will use this technique soon. cool! Can't wait to use your idea! Holy crap, this is the coolest thing everrrrrrrr! God Bless MBS Progressive Dinner for bringing you to me! PS also used you bias binding tutorial for my first bias binding. Also worked great! Thank you! 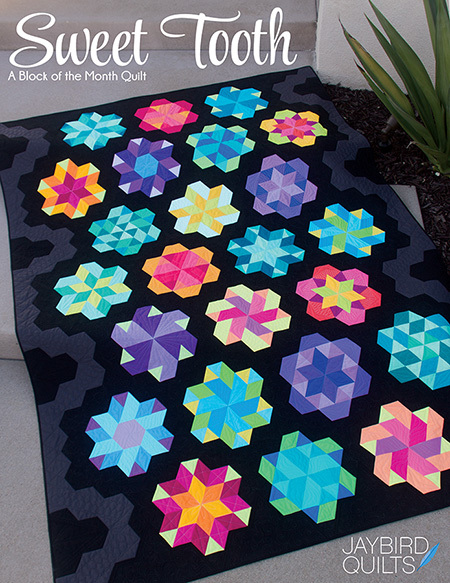 I had a quilt that I should have added a border to - this gave just a nice pop before the binding. Thanks for sharing this great tutorial. Have you checked out BlogHer lately? A Little Birdie Told Me... Feel Better Soon!